Place coconut in a small zip-top plastic bag and add some green food coloring. Shake around until food coloring has absorbed and turned the coconut green. For each burger you will need two vanilla wafers as the buns. 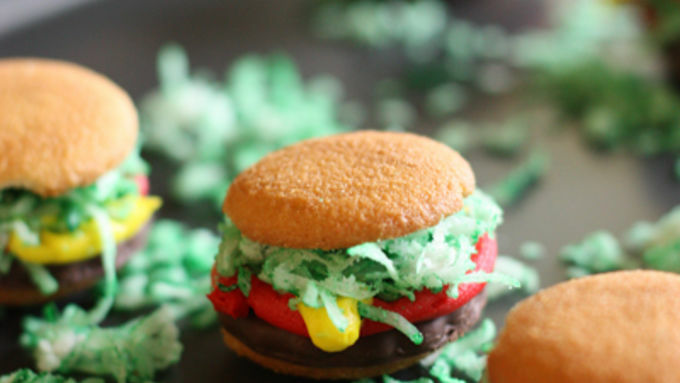 Place a small dot of frosting on the bottom bun and then place your grasshopper cookie on top to look like a hamburger patty. 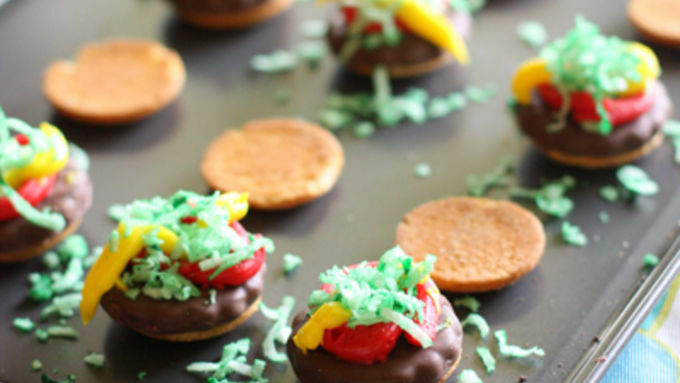 Make a circle of red frosting on top of the grasshopper cookie to look like the tomato or ketchup. Drizzle a little yellow frosting for mustard. Top generously with your green coconut to look like lettuce. Finish by placing second vanilla wafer on top as the top burger bun. Hold the onions and turn off the grill! 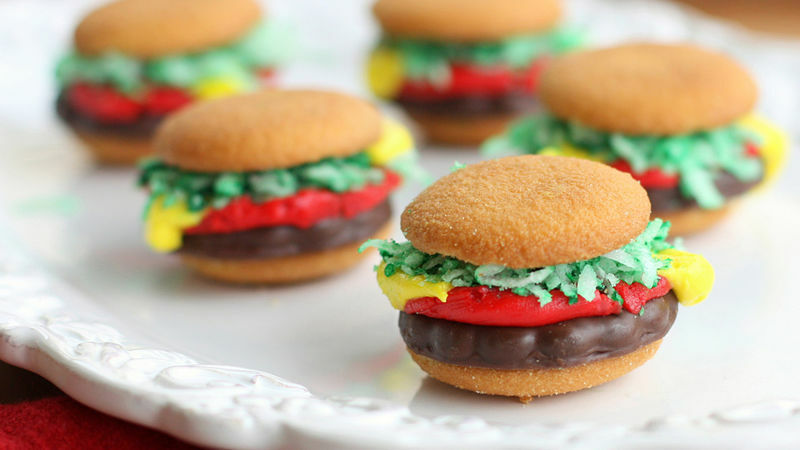 These Mini Burger Cookies look like the real deal, but they're actually a sweet, tiny, fun dessert. 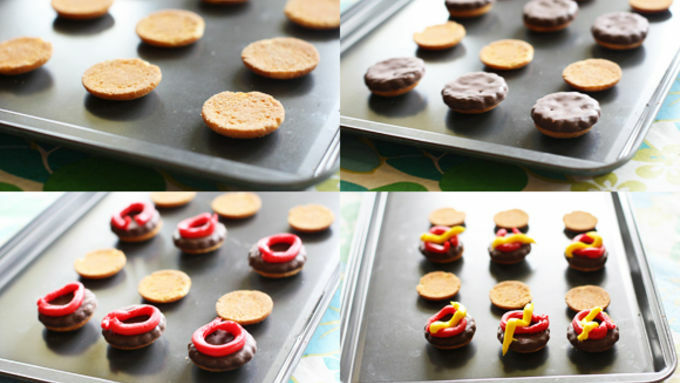 I spotted these Mini Burger Cookies over at Six Sisters’ Stuff and knew I had to try them out with my own family. 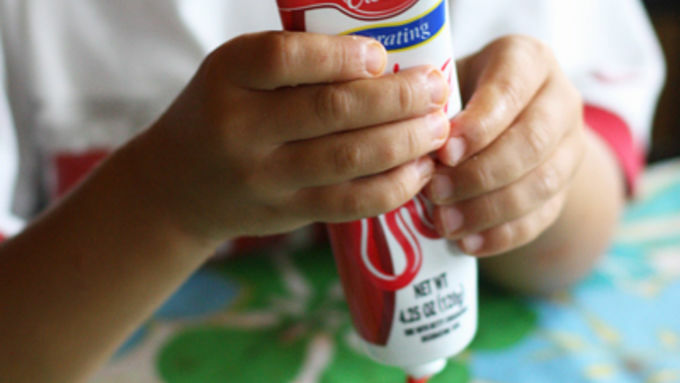 As a rule of thumb with any treat that I have my kids help me with, I try to make sure I have all the ingredients ready to go and it has to be simple and fast because their attention spans are short. I have to admit that sometimes “cute” food doesn’t always taste good, but these burgers were the bomb! Make these sweet and tasty burgers for your next cookout.